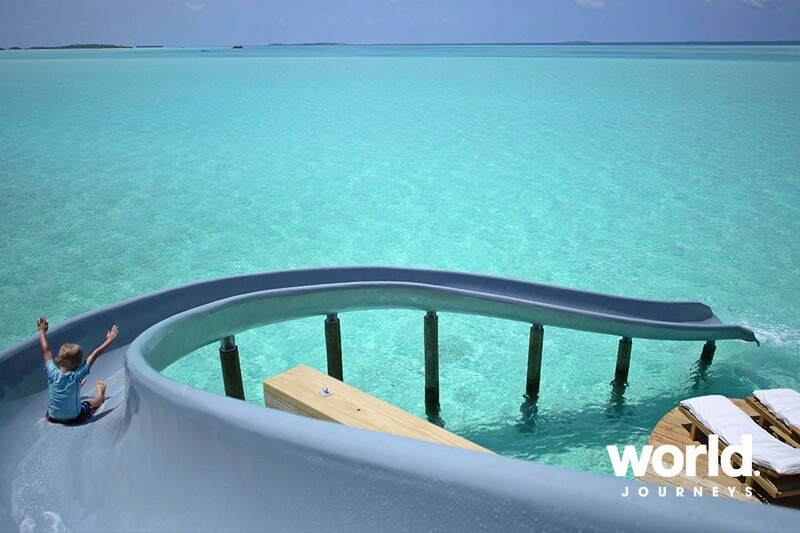 The Soneva story continues with the brand new Soneva Jani. 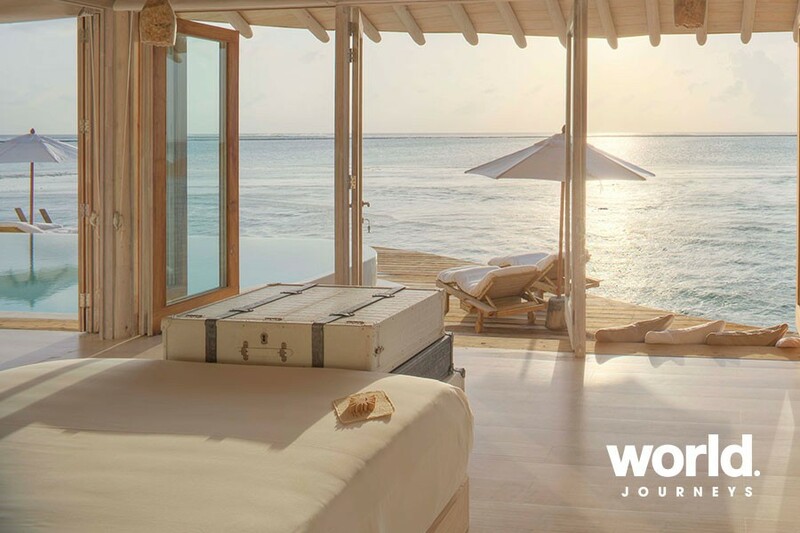 Located on the island of Medhufaru in a 5.6 kilometer lagoon in the Noonu Atoll, Soneva Jani has uninterrupted ocean views in all directions. 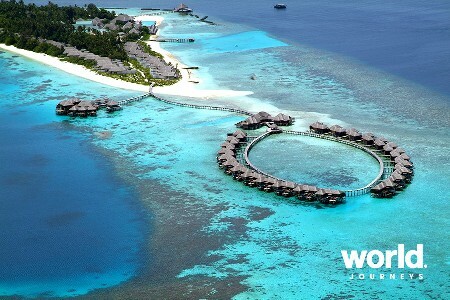 The lagoon is 35 minutes by seaplane from Male International Airport and one hour by speedboat from Soneva Fushi. 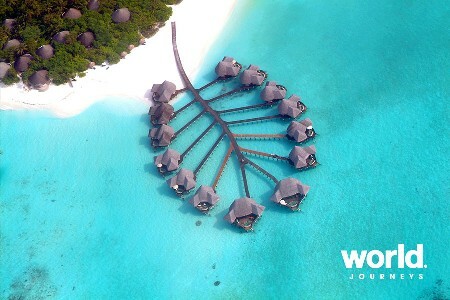 Meaning 'wisdom' in Sanskrit, Soneva Jani currently comprises 24 overwater villas and 1 island villa. 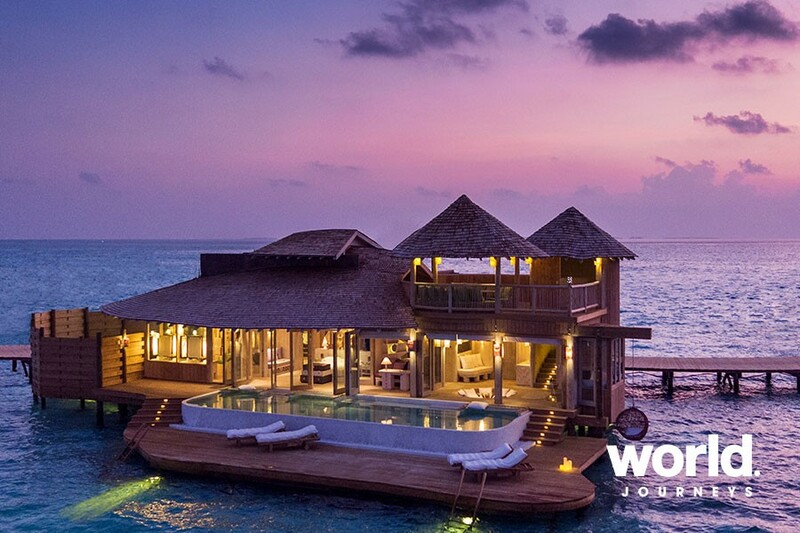 Additional island villas will be built in phase two, expected to be completed in 2017 - 18. 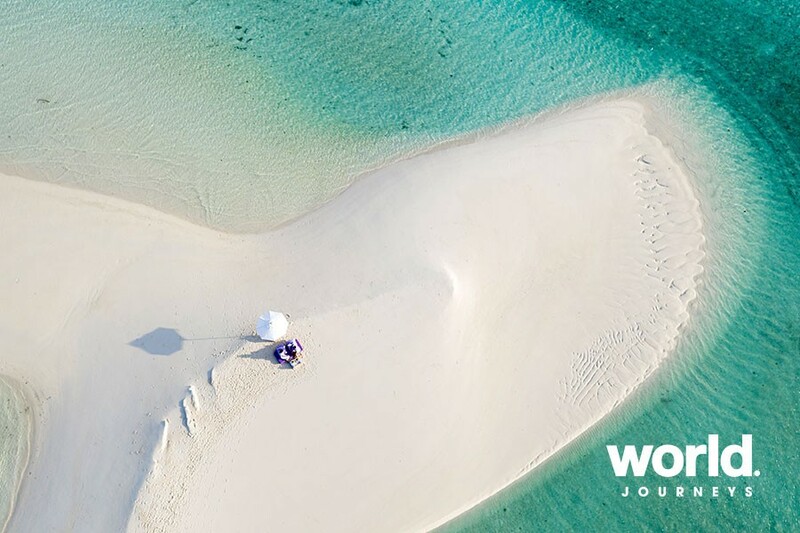 The resort is built in a lagoon of crystal clear waters, with five islands surrounded by pure white beaches, covered in rich tropical vegetation. 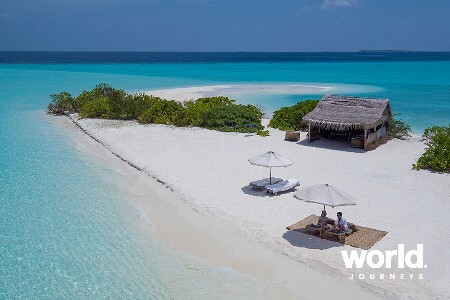 Four of the five islands will remain untouched so it will be, by far, the lowest density development in the Maldives. The overwater villas are spaced across the expansive lagoon, offering privacy and extensive views over the Maldives turquoise waters. 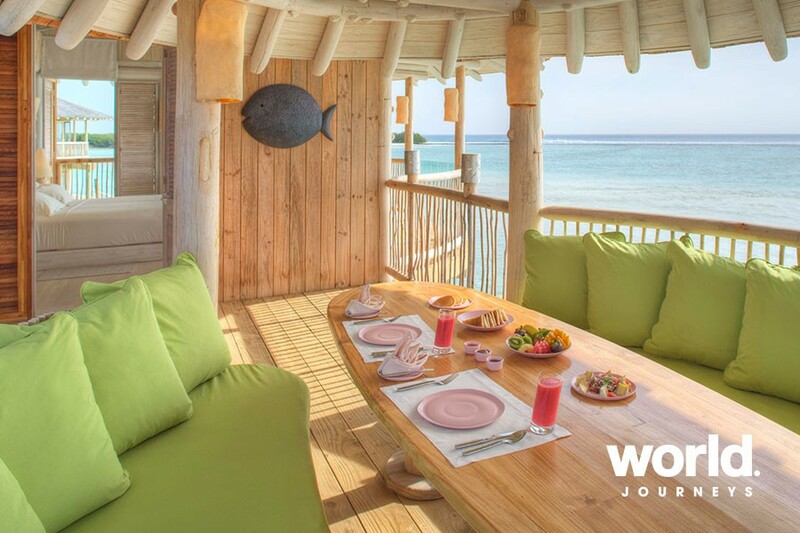 The island villas will be tucked into the lush greenery, providing the ultimate privacy, and all within steps of the beach. 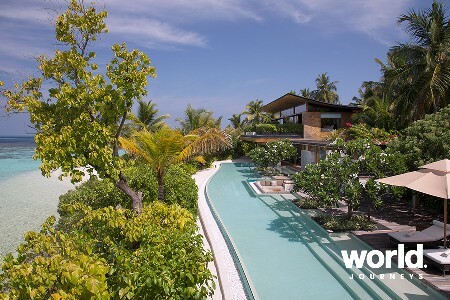 Soneva Jani's main guest facilities are located at The Gathering, the heart of the overwater villas. 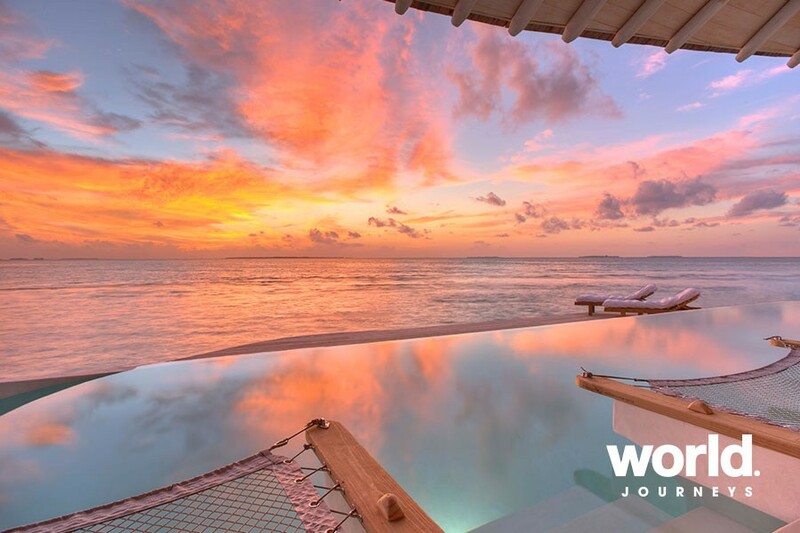 This dramatic three story structure is home to the main dining outlets, in addition to the spa, library, retail area and wine cellar. 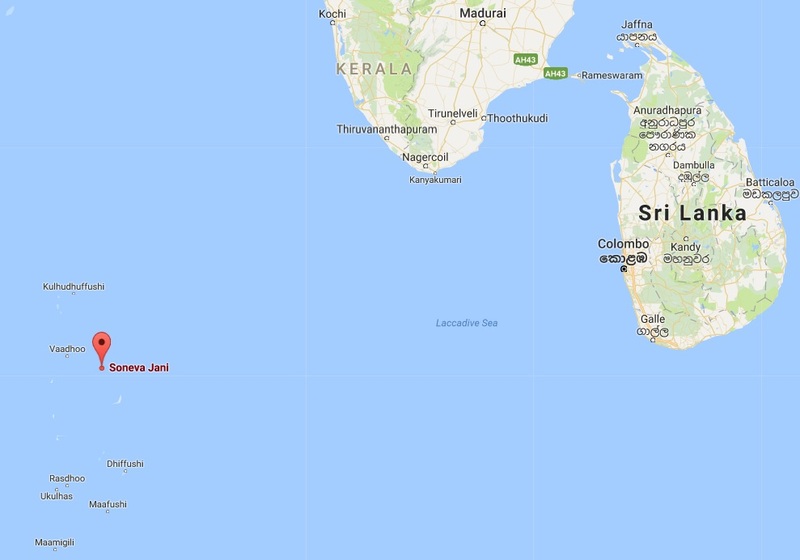 It is located next to the Observatory. 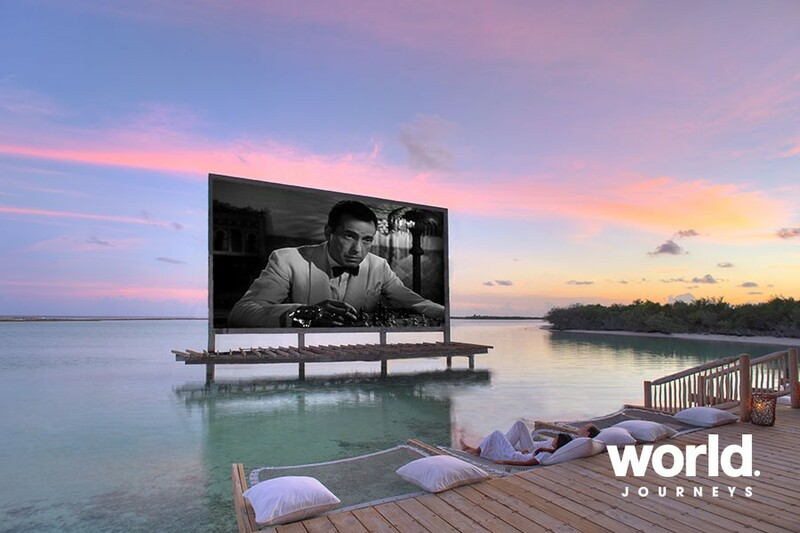 Facilities on the island include Cinema Paradiso, the Eco Centro waste to wealth centre, Organic gardens, Tennis courts, Water sports champa and Beach Club on a desert island in the lagoon. 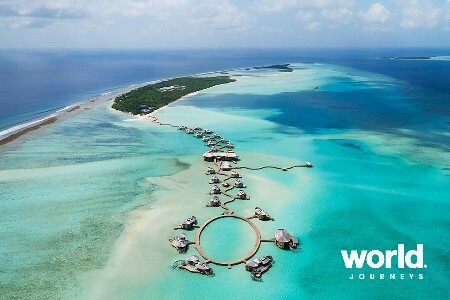 Check into Soneva Jani, Soneva's newest luxury resort. 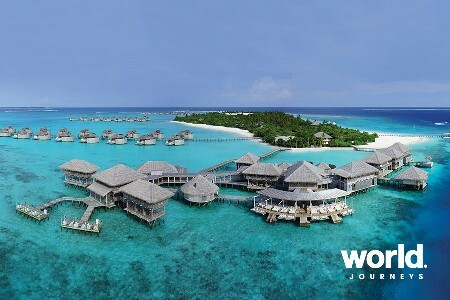 Inspired by a word that means 'wisdom' in Sanskrit, Soneva Jani encompasses a collection of Water Villas and Island Sanctuaries set within a lagoon of crystal clear waters, fringed by pristine beaches and blanketed in lush tropical greenery.